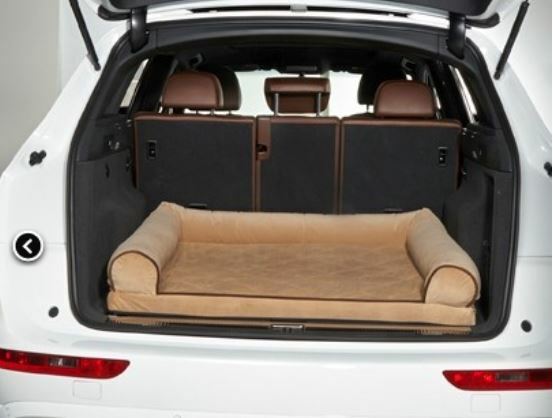 This bed fits the rear cargo area of an SUV, station wagon or van. Two inches of furniture grade foam topped with 1 inch of high loft fiber makes this a great bed for older and arthritic dogs. 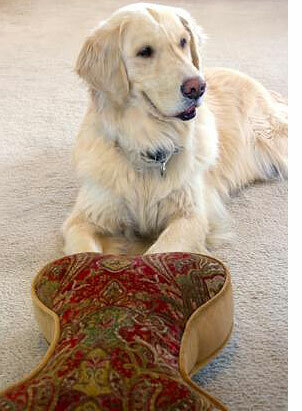 High Memory Polyster Fibre bolster with furniture grade foam bottom insert. Washing Instructions: Unzip cover and remove foam insert and bolster. Rezip, machine wash and dry cover only on cool setting. Tufting prevents fiber from shifting or clumping on seating area.